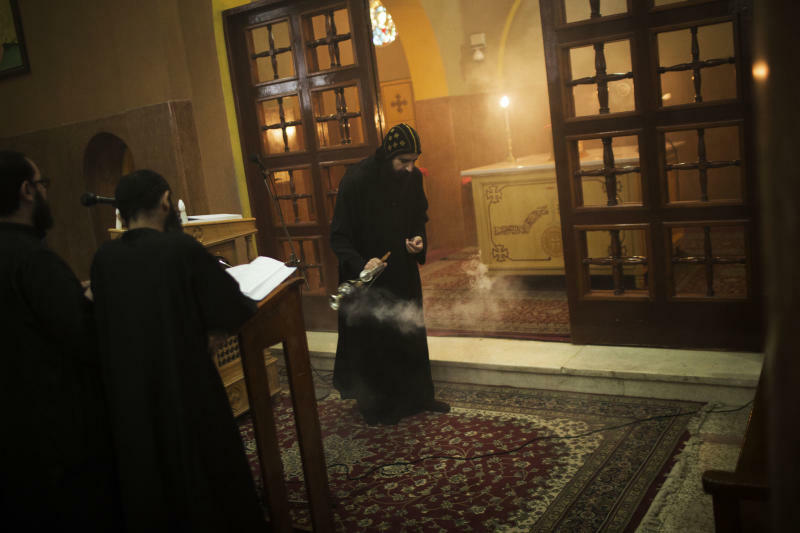 ASSIUT, Egypt (AP) — It was nighttime and 10,000 Islamists were marching down the most heavily Christian street in this ancient Egyptian city, chanting "Islamic, Islamic, despite the Christians." A half-dozen kids were spray-painting "Boycott the Christians" on walls, supervised by an adult. "Tawadros is a dog," says a spray-painted insult, referring to Pope Tawadros II, patriarch of the Copts, as Egypt's Christians are called. Christian homes, stores and places of worship have been marked with large painted crosses. 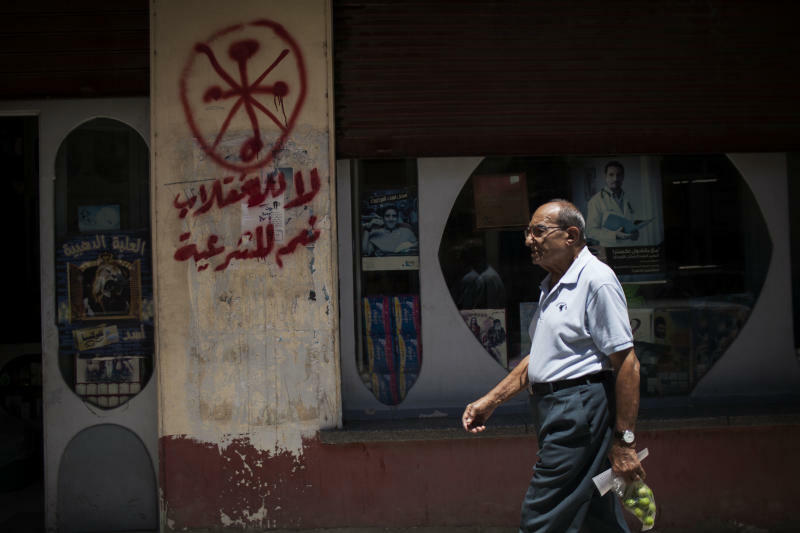 The hostility led a coalition of 16 Egyptian rights groups to warn on Wednesday of a wave of violence to come, and to demand that the post-coup authorities protect the Christians who are 10 percent of the population, and suffer chronic discrimination. "They (the Islamists) will not stop as long as they are left to do as they please without fear of accountability," said Hossam Nabil, 38, who owns a jewelry store on Youssry Ragheb Street, where the demonstration passed on Tuesday night. "They are many and one day they will trash our stores." Assiut's Islamists are strong because local authority is weak and religion is powerful in a region where poverty is widespread and envy of the relatively high number of well-to-do Christians runs high. As for the graffiti, acting provincial Gov. Gamal Adam told The Associated Press the authorities have given up on washing it away because it quickly reappears. He also said municipal cleaners might be roughed up if caught in the act by Islamists. "We had never experienced the kind of persecution we suffer now. We are insulted every day," said Nevine Kamal, a 40-year-old Christian pharmacist and mother of two teenagers. "We are angry and frustrated but we are not leaving Assiut," she said, seated at her desk at the St. George Pharmacy on Youssry Ragheb Street. Under her desk's glass is a poster of the Virgin Mary and on the wall is an image of St. George slaying the mythical dragon. "Sadly, my children are angry with Egypt and want to leave and they don't believe us when I and my husband tell them that things will get better soon. But, personally, I have faith that all this will yield something good for us and the country. We thought the Muslim Brotherhood will rule for 80 years and they are out after just one year. Who would have believed this?" Morsi is a longtime leader of the Brotherhood. At least seven Christians have been killed since the coup, one of them in Assiut. Scores have been injured. This week, in a village in the province of Minya south of Cairo, a pro-military song playing on a coffee shop radio sparked an argument between a Muslim and a Christian, and the next day a mob of thousands ransacked Christian homes and stores and tried to storm a church. At least 18 people were injured and arrests warrants issued for 35. 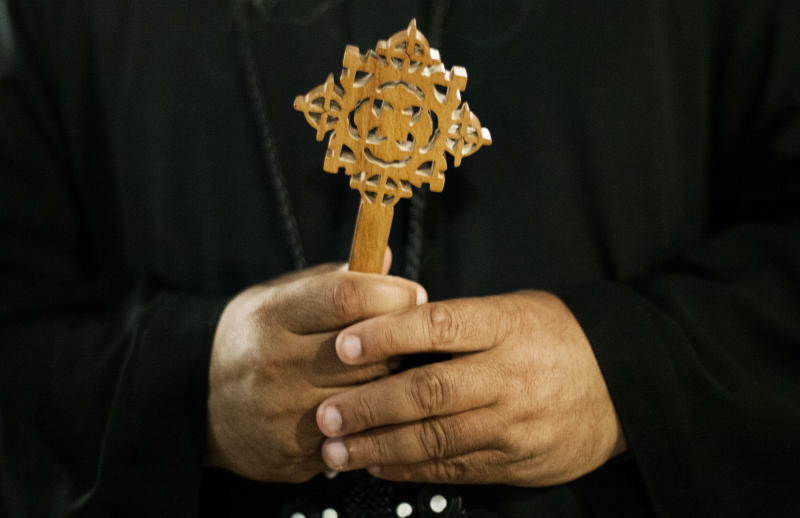 Egypt's Christians used to shun politics, but since the Arab Spring of early 2011 they have started to demand a say in the country's direction. They took it to a new level during Morsi's year in office and the empowerment of his Islamist allies. Tawadros, the Coptic Christian pope installed last year, openly criticized the president and told Christians they were free to actively participate in politics. It was a risky gamble for a minority that has long felt vulnerable, with its most concentrated communities, like the one in Assiut, living in the same rural areas where the most vehement Islamists hold sway. During Morsi's year in office, some of his hard-line allies increasingly spoke of Christians as enemies of Islam and warned them to remember they are a minority. When the wave of protests against Morsi began on June 30, media supportive of his Muslim Brotherhood depicted the movement as dominated by Christians. Still, at the ancient convent marking the last spot where the Holy Family is thought to have stayed before it left Egypt, hundreds gathered this week for an annual festival in upbeat mood. Children played, families picnicked, people lined up to buy blessed bread. "Those who hate us are misled," said a convent member named Martyra, speaking to the AP while standing in a cave where ancient Egyptians quarried stones to build their cities. "I am safe here in the convent but I worry and pray for those who live outside and have children."